Since our inception in 2014, we have been able to facilitate the adoptions of over 450 dogs. We are very happy to say that most of these dogs are still in their loving homes, and thriving. Unfortunately, and for several different reasons, dogs do get returned. Although this makes us sad, it is often in the best interest of the dog. Our goal is to place each dog with the perfect family, and find the perfect family for each dog. We do this by having you meet with our dog team, trainers, and sit down for an in-depth interview with a team member and/or the rescue. We ask lots of questions and check vet references as well as personal references. We send a great deal of material to you before the event so you may prepare yourselves for not only the event, but also post adoption. This information includes material on decompression, the two week shut down, crate training, and more. In addition, we ask you to read an article and to write an essay on how you plan to introduce your dog to your new home and family. What steps are you willing to take to make this work? We've heard many times: "I'm a trainer", "I've always had dogs" and "I'd never return a dog", yet many times people truly don't know how different it can be to adopt a rescue/shelter dog. These dogs will not be their true selves until they've had time to decompress. They may have accidents, be shy or withdrawn, need leash training, and so much more. Please ask yourself, are you truly up to this task? If you are a renter, we may not let you adopt a bully breed/pit mix dog. If you have children that are acting inappropriately toward the dogs at our event, we may choose not to adopt a dog to you. Please be honest about your lifestyle and what you are willing to do and not do for a dog, this will help us find a dog that is the best fit for you. Please keep an open mind when attending one of our events. Many people fall in love with a dog they see promoted prior to an event, but go home with a completely different dog. Are you hoping to adopt one of the many adorable puppies coming to our event? 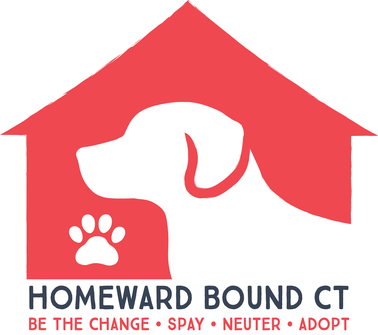 All adopters wanting to adopt a puppy are required to read and sign our puppy addendum form. There is a link below to download the form and review. Please initial, sign and email it back to us and we will attach it to your application. You will also be emailed this form if you have requested one of the puppies on your application. This DOES NOT guarantee you a puppy. This is a new procedure our rescues are requiring to be sure our puppies are going to homes that are aware of what to expect when adopting a puppy. Almost all of the articles say the same thing; TIME AND PATIENCE. ...Did we mention time? If you are serious about adopting a rescue dog, it is imperative to give them the time they need to adjust. These articles will help give you a better understanding.